Evans Coaches is run as a family business located in the heart of the beautiful Pembrokeshire National Park, inMilford Haven. Philip Evans joined the company in 1988 and formed a partnership with his father which resulted in EJ Evans & Son. The demand for larger vehicles grew rapidly in the following years and in 1998 Ted and Phillip Evans bought their first 53 seater coach. started running from its new address. 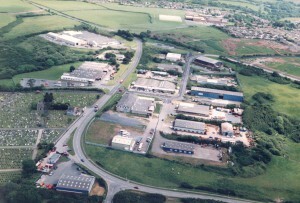 In 2000 a new, modern and purpose build workshop and office complex was constructed and the day to day business thrived well. In 2006 the company was changed to a Limited Company and is now well know as Evans Coaches. By 2007 we have gained additional school contracts with the Pembrokeshire County Council as well as a variety of private hire work with local groups and customers from all over Wales. Today we are successfully operating 12 vehicles with 14 drivers and are offering local and national services. For holidays, tours, excursions or private hire. At Evans Coaches we are proud of our reputation for quality and customer care. 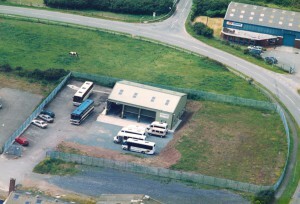 Since 1986 Evans Coaches has been providing transport to passengers from Milford Haven, Pembrokeshire and all over Wales and the UK. During nearly 30 years of specialised transport services and coach hire, we here at Evans Coaches have gained an enviable reputation for providing safety, reliability and excellent service. Don't worry, we will do our best to locate it for you. We check all our vehicles for items and hold on to them for 3 month. To recover your lost items please contact our office via the contact form or email us direct at enquiries.evanscoaches@btconnect.com. Please have a description ready of the item that is lost, the date and destination of your trip and your contact details. Stacey Lloyd: "I couldn't fault the service provided by Philip and Helen for the hen weekend we organised. He was always on time, and even with a few last minute changes from ourselves, he went above and beyond to help us. Both Helen and Philip were so polite from the first phone call to the last and I would be happy to book with them again if I am in the area! Thank you both!" Bevvy Thomas: "Phil and Geoff I have to say are a credit to your company. I have been on school trips with them as drivers and they were friendly and accommodating, nothing was to much trouble! Customer service at its best"
Samantha Thomas: "So good I had to write a review! Phillip, you was fantastic!! Thank you for being so accommodating to 16 ladies on a hen weekend in Tenby!! Can't thank him enough!!"